Now is the time for light, sheer, layers. This look is both chic and sophisticated. Simply layer a sheer piece with a silk or cotton camisole underneath. This on trend look will have you feeling fabulous from day to night. 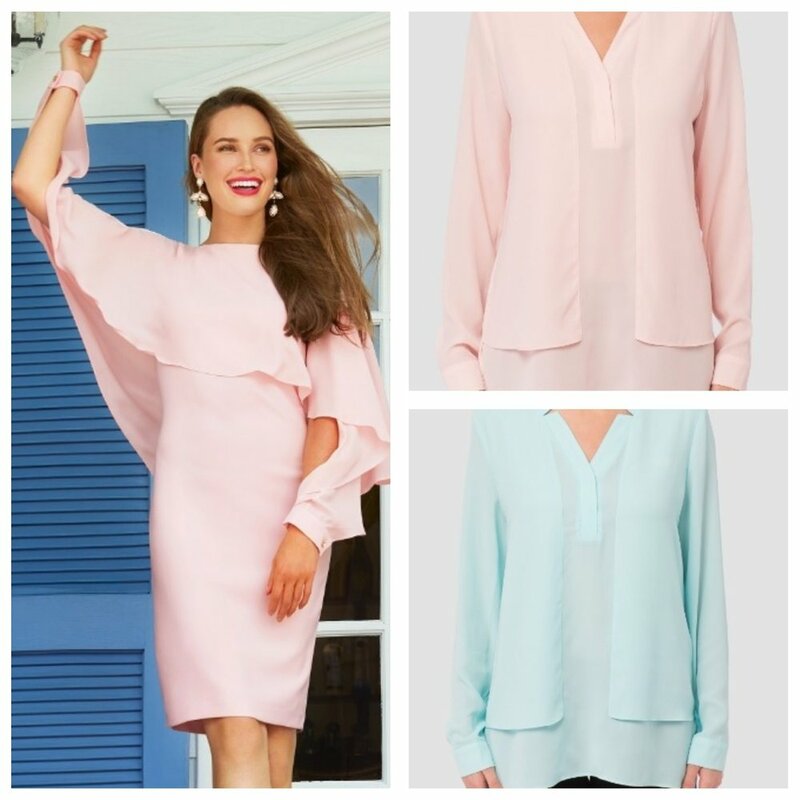 Pastels may not be the most ground breaking trend, but this season there are beautiful shades of pink, aqua, and periwinkle hitting the runway. This feminine and classic Spring trend will be sure to bring your wardrobe to new heights. The classic preppy short is back. We have taken our own point of view and spin on this Spring trend. It is all in the details.